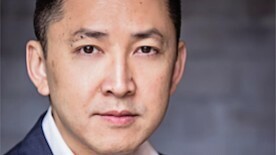 Last week Viet Thanh Nguyen, a professional associate of mine, became the fourth winner of the Pulitzer Prize in Fiction to endorse the Boycott, Divestment, and Sanctions movement (BDS), joining Alice Walker, Richard Ford, and Junot Diaz. Besides the Pulitzer, his novel, “The Sympathizer,” won several other prestigious awards and made it to over 30 book-of-the-year lists, including The Guardian, The New York Times, The Wall Street Journal, and The Washington Post. With a flick of her wrist, Dareen Tatour turned a page in her notebook, smoothed the paper and began reading aloud in a slow, steady cadence. "The charges are like pieces of clothing. They brought me these clothes and forced me to wear them, from my toes to my head," she said, before bursting into excited laughter at the novelty of her work being translated into English. 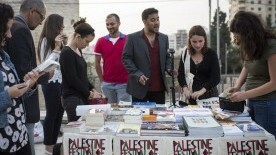 From 21 – 26 May, the Palestine Festival of Literature toured cities in the West Bank and Israel. 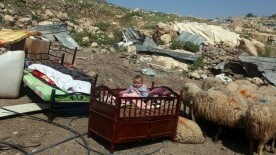 In attendance was Jehan Bseiso, a young Palestinian poet. 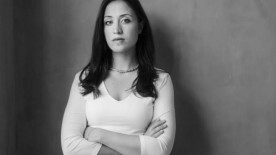 With two anthologies to her name and online publications with ″Electronic Intifada″ and ″The Palestine Chronicle″, Jehan is currently working on a poetry collection called ″Conversations Continued″ – a compilation of real, misheard and misremembered conversations. 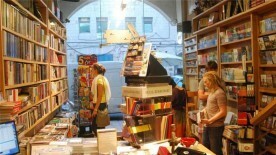 On Jerusalem's busy Salah Eddin Street, where cafes, grocery stores, money exchange centres and jewellery shops proliferate the landscape, a prominent board at number 22 announces itself as the Educational Bookshop. Shortly ahead, across the road, is another bookstore and cafe, also titled the Educational Bookshop. A lawyer by training, British-Palestinian writer Selma Dabbagh’s short stories have been included in a number of anthologies, including those published by Granta and International PEN. She was also nominated for the International PEN David T.K. Wong Award and the Pushcart Prize. “The power of fiction lies in its ability to humanize the other,” says Dabbagh on her decision to become a writer. From May 21st to 26th, the annual Palestine Festival of Literature (PalFest) will be held in cities across historic Palestine as international literary stars – including Nobel laureate JM Coetzee, Pulitzer Prize finalist Laila Lalami and National Book Award winners Colum McCann and Barry Lopez – perform free, public events in Ramallah, Jerusalem, Bethlehem, Haifa and Nablus. A novel about Palestinian life in occupation and exile by Rabai al-Madhoun has won the ninth $50,000 International Prize for Arabic Fiction (IPAF). Destinies: Concerto of the Holocaust and the Nakba, published by Maktabat Kul Shee (Haifa, Palestine), was named the winner by this year’s chair of Judges, Emirati poet and academic Amina Thiban, at a ceremony in Abu Dhabi. The American writer Ayelet Waldman was on a tour near the Hamra checkpoint, deep inside the Palestinian West Bank, when a silver car with Israeli plates pulled over. The driver, an Israeli Jew, got out and began taking photos of Waldman’s tour group, which included the Austrian author Eva Menasse and Pulitzer Prize-winning novelist Geraldine Brooks, as well as a bevy of photographers and anti-occupation activists.